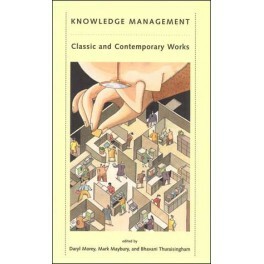 This book provides an introduction to the field of knowledge management. Taking a learning-centric rather than information-centric approach, it emphasizes the continuous acquisition and application of knowledge. The book is organized into three sections, each opening with a classic work from a leader in the field. The first section, Strategy, discusses the motivation for knowledge management and how to structure a knowledge management program. The second section, Process, discusses the use of knowledge management to make existing practices more effective, the speeding up of organizational learning, and effective methods for implementing knowledge management. The third section, Metrics, discusses how to measure the impact of knowledge management on an organization. In addition to the classic essays, each section contains unpublished works that further develop the foundational concepts and strategies.